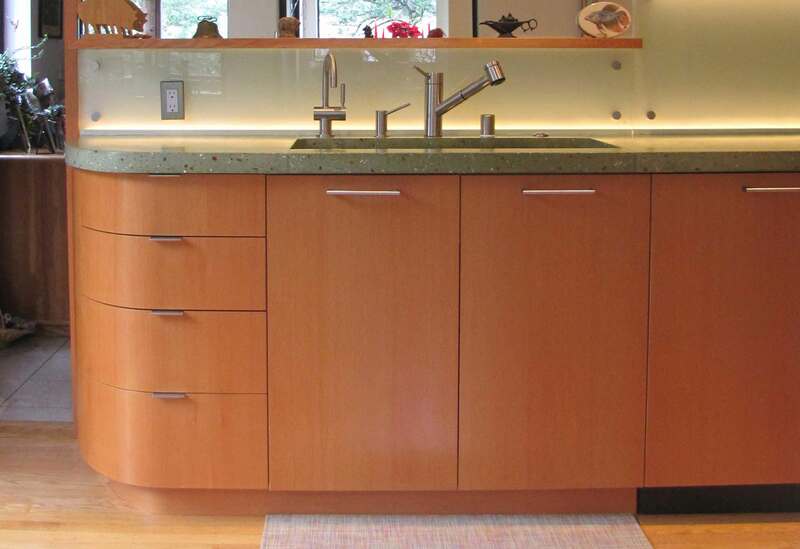 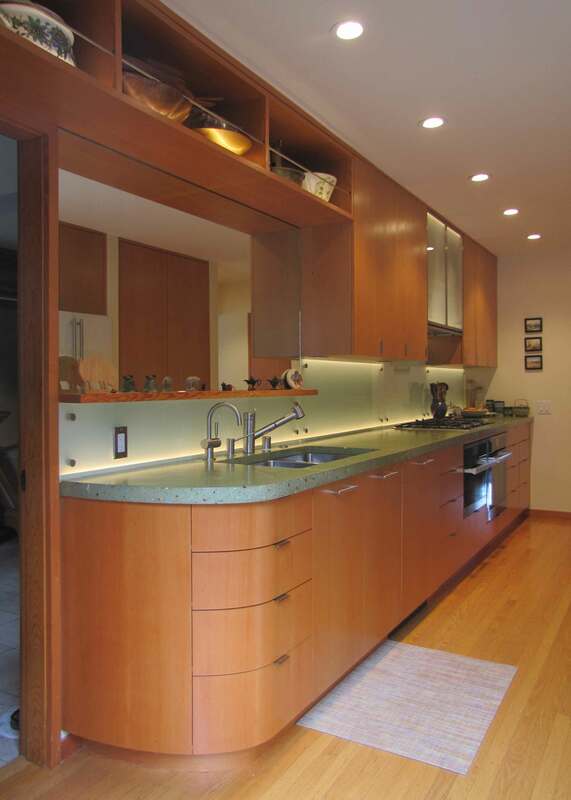 Vertical Grain Douglas Fir Cabinetry in a contemporary European frameless overlay style. 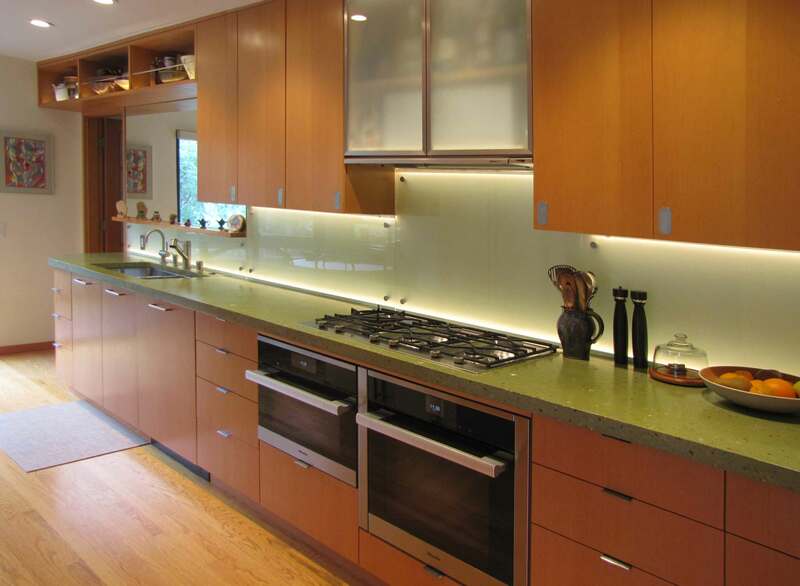 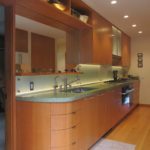 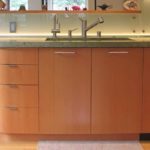 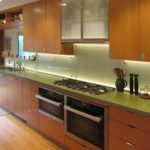 This project features a bank of curved drawers, a pair of backlit glass doors concealing the range hood and a backlit glass backsplash. 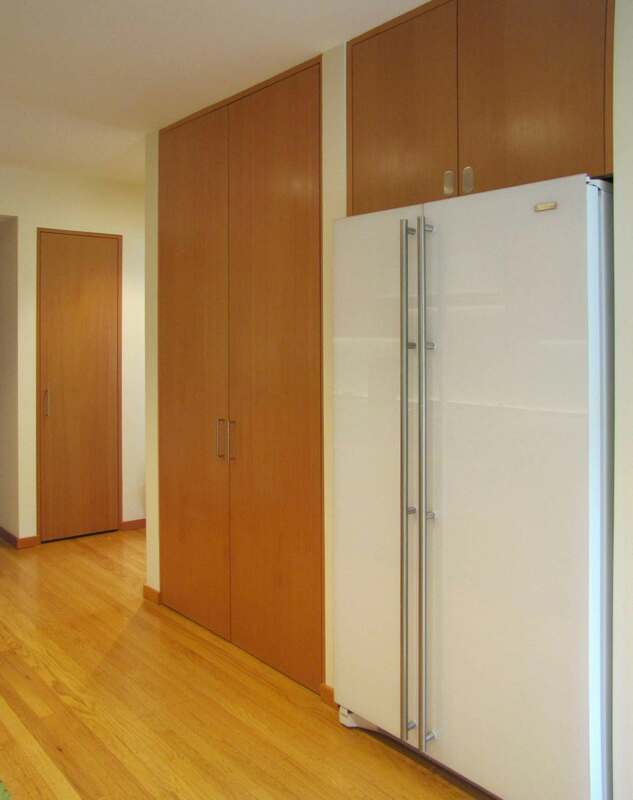 The doors operate via touch latches with recessed brushed stainless push plates. 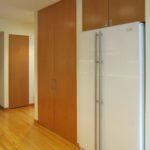 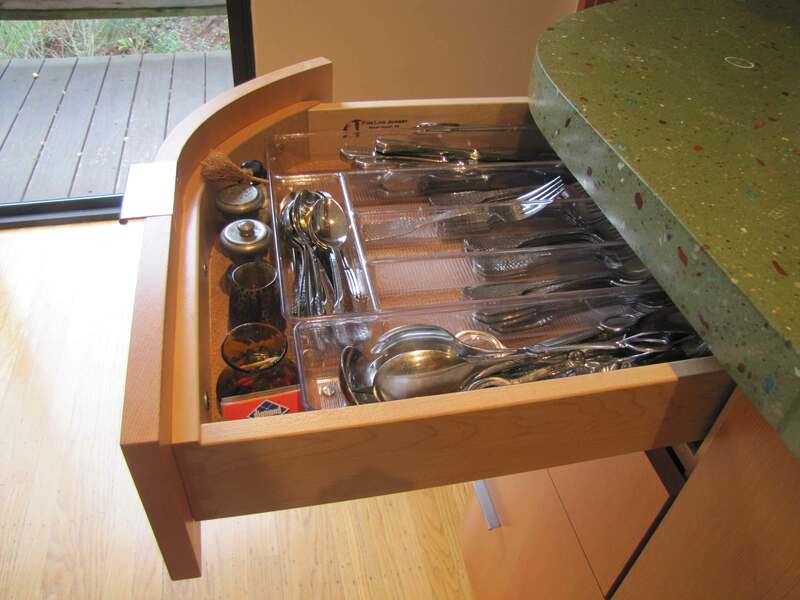 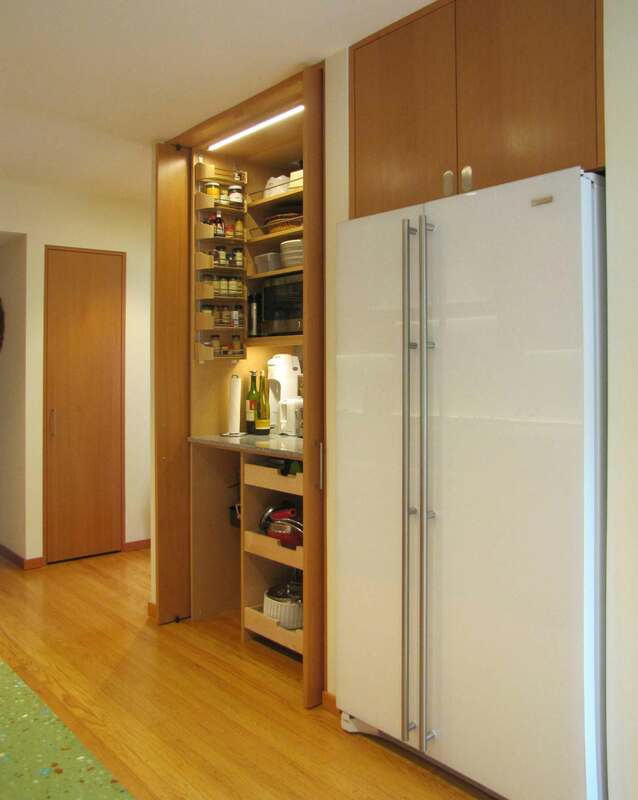 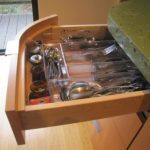 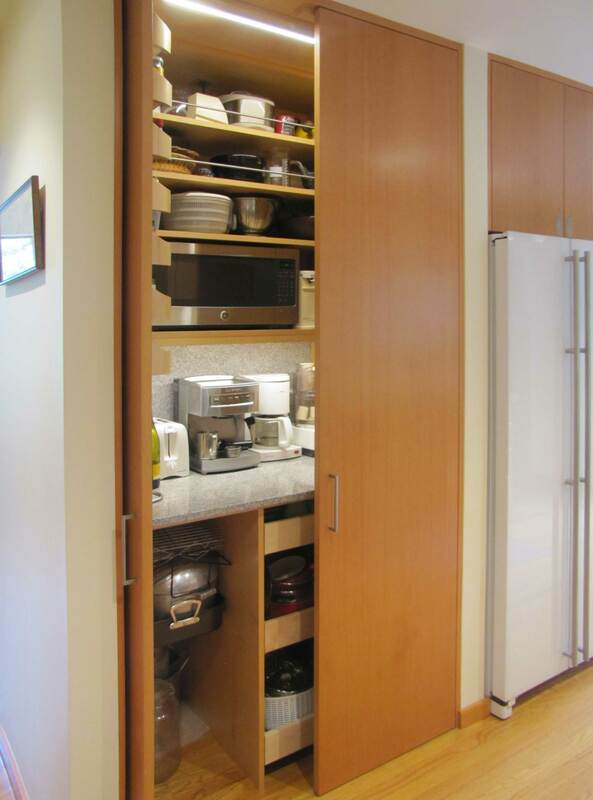 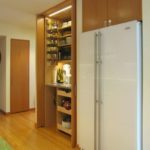 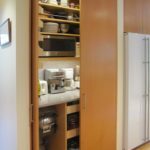 A built-in pantry is hidden by a pair of full height “flipper” doors that open and slide out of the way into pockets, allowing full access to its interior.